We flew from Bangalore to Ho Chi Minh City via Bangkok. Multiple airlines such as Thai Air, AirAsia, Singapore Airlines, and Malaysia Airlines fly here. Travel times range from 7 hours to 13 hours depending on the duration of layover. Upon arrival, we took a regular taxi from the airport to the hotel. We needed visas that we applied for before our trip as Indian passport holders. Our kids have American passports and needed no visas. 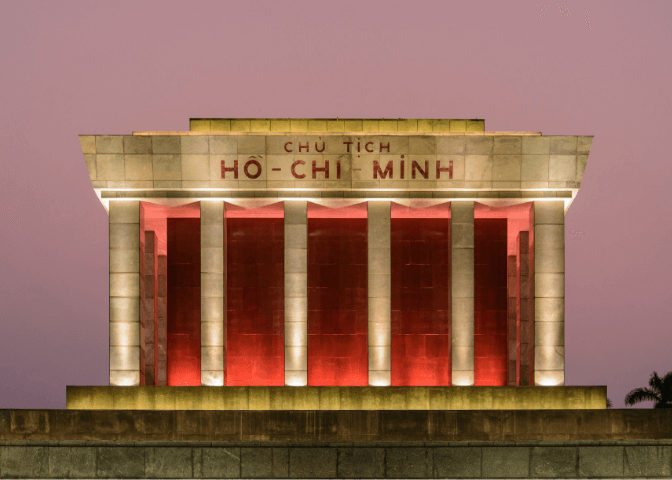 This was our itinerary which covered Ho Chi Minh City, Can Tho, and Phu Quoc Island. The travel to Rach Gia and then the ferry to Phu Quoc could be cut short by taking a flight from can tho to Phu Quoc. In our case, the flights were sold out due to the time of the year and were also too pricey! We did a day trip to the Cu Chi tunnels, which weren’t awesome, but I don’t regret doing it. 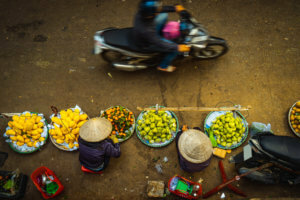 The absolute highlight of our Saigon trip was the A La Carte Food Tour by Vespa we did with Saigon Extravaganza that was beyond amazing….we sampled local foods in eateries across the city and saw it all on a scooter. We ate some delicious food we wouldn’t have otherwise and the kids had a blast! On our last day in Saigon, we had our last meal at Pizza 4P after an evening in the Bến Thành Market and it made for a great experience! We did visit the War Remnants Museum on our own in HCM and would have liked to spend more time there as well as get in a city tour, but we decided to skip it because of time constraints. 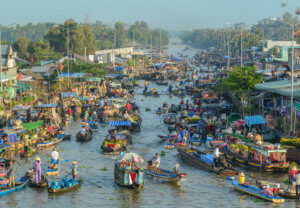 The Cai Rang floating market was worth it and we loved the experience though somewhat touristy. We went with a private boat and it worked out well. The highlight of our time here was spending time in the resort itself. Apart from the hotel itself and time on the beach, we visited Bai Sao beach, which was stunning, and it was one of our favorite days! We also wanted to visit the Ong Lang beach in Phu Quoc and explore nearby islands but realized they needed more time. We stayed at the Sherwood Residence in HCM. The apartments were big and clean and well appointed. The kids had their own space and it was helpful. However, the hotel facilities like Kids Club and rec room were overhyped in the reviews… we found them to be very average. Considering that we were out of our rooms at most times during our stay here, that didn’t affect us much. The apartments were in the center of the city and walking distance to many restaurants in the neighborhood! We stayed at the Victoria Can Tho Resort which was amazing! Though the rooms themselves were very tight for the four of us, they were cozy and comfortable. The property was beautifully maintained and had a great pool with an adjoining kids park that our kids enjoyed. The food was great and the breakfast buffet spread was the best of our entire stay! We could walk over the newly constructed walking bridge to the other side which had a great line of restaurants, the night market and the ferry point for the floating market etc….so the location was very good as well! 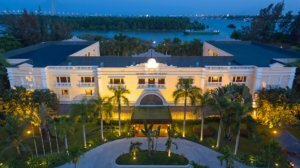 We stayed at the Dusit Princess Moonrise Hotel. The hotel itself was new and beautiful. The rooms were large and comfortable…with an outdoor sit out area. The best part of the resort was the infinity pool with the beach right in front and the kids club right next to the pool. We loved how easy it was for us to be together but do our own thing. The pool, beach, restaurants, bar, and kids club were all next to each other…. just perfect in my opinion! The food here, however, was a letdown! We felt that the only two times we ate at the resort it turned out to be a waste of our money and time! The breakfast buffet was boring and had the same stuff day after day! But there are a whole lot of great restaurants in a short walking distance with amazing local food. I think Vietnam spoils you with its food. The food is fresh and flavorful. 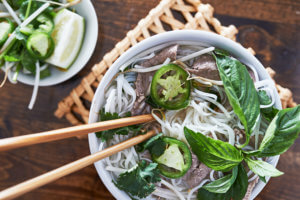 We ate most local food like Pho, stir-fries, rice and noodle bowls and loved it all. Our kids had fried rice which we could ask to be made non-spicy. We were lucky to have dinner out with a local Vietnamese friend and we also did a food tour on a motorbike. The best season to travel to Vietnam, in general, is during the drier season from December to March. Vietnamese New Year (Tet Festival) also makes for a popular time (prices are also more expensive) in late January /early February. Temperatures during this time range from 21 to 34 degrees C. The weather was warm and humid during this time. Despite it being high season, we found the pricing to be affordable and that there was a good range of options available. We used public taxis in Ho Chi Minh and were pretty happy with them. The language, however, is an issue and Google Maps came in handy! We also used Google Translator to communicate. We were concerned that the overall levels of hygiene were low compared to most places we have traveled to even in Asia. Be prepared with sanitizer, wet wipes, toilet paper/ tissues, etc. especially if traveling with children! 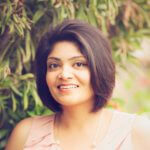 Vinithra gave up her investment banking career of 11 years when she became a new mom and started Weespaces out of her passion for design and interiors! What started as a kids design business almost 6 years back went on to grow into a full-service design firm. Being an explorer in spirit, she loves to travel! Having lived all over India and in California, blending California chic style with unexpected eclectic and colonial elements defines her design aesthetic.